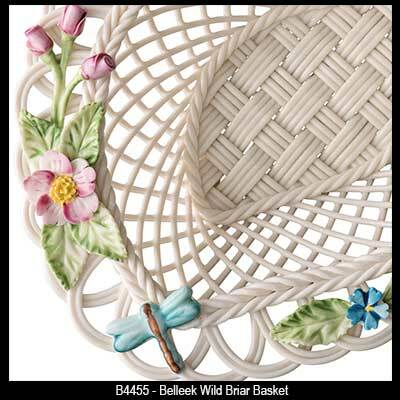 The Belleek China Wild Briar Basket was Introduced in 2016. 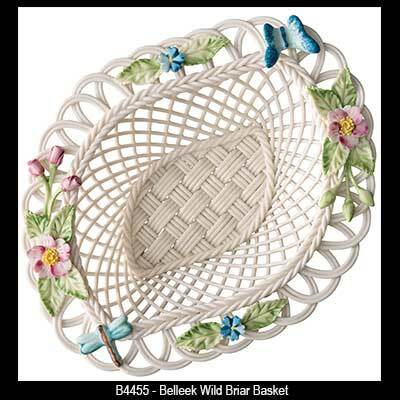 This Belleek basket features the wild briar flower that is native to Ireland. This semi-oval shape Irish basket is woven of fine china with individually applied petals and flowers along with a butterfly and a dragonfly. The Belleek China basket measures 7" long x 5 1/2" wide x 2” deep and it is hand painted and handmade in Belleek, Ireland. The Belleek wild briar basket is received gift boxed, complements of The Irish Gift House. 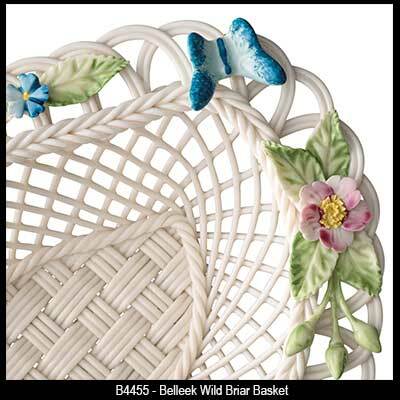 The Belleek wild briar basket features hand painted flowers, a butterfly and a dragonfly.